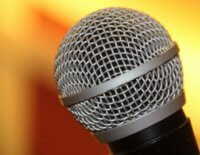 Do you get stage fright? Stage fright is more common for novice performers but even seasoned professionals may be plagued by it. While the specific reasons for it vary, there is one general state of mind that is common to all stage fright. In general the singer is the center of attention for the audience except when their perception is drawn to other band members during solos or other stage antics. The first thing you must be able to do to overcome stage fright is to allow others to have their attention on you without becoming introverted. By introverted I mean having attention on yourself or your body instead of outward on the environment. Conversely being extroverted would be having your attention out on others and the environment. You can increase your comfort with this by going out into public places where there are a lot of people and just look at them. A certain number of them will look back at you and you have to become comfortable with continuing to look at them and not introvert. This is not a stare down contest, but simply being able to look at people without your attention going to your own thoughts about how you look or what they may be thinking about you. Just work toward being able to be there comfortably looking outward. The number one reason for a singer being self-consciousness is that they have attention on their voice and how it sounds. 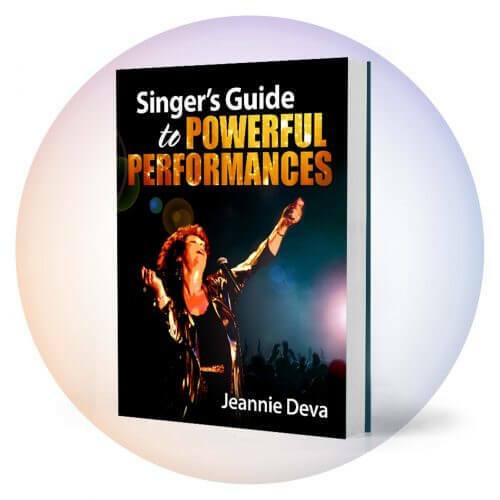 This is why I repeatedly stress the importance of good vocal technique and developing the muscles of the voice so that you can sing well and confidently. 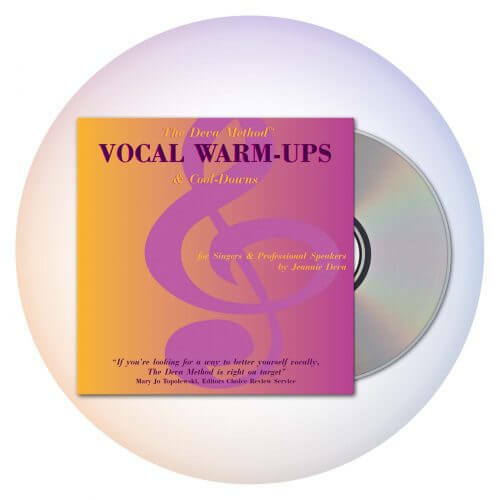 Your attention should be on the audience when you perform, not on your voice, so put in the work during practice and lessons to get your voice in shape and you’ll reduce stage fright markedly. 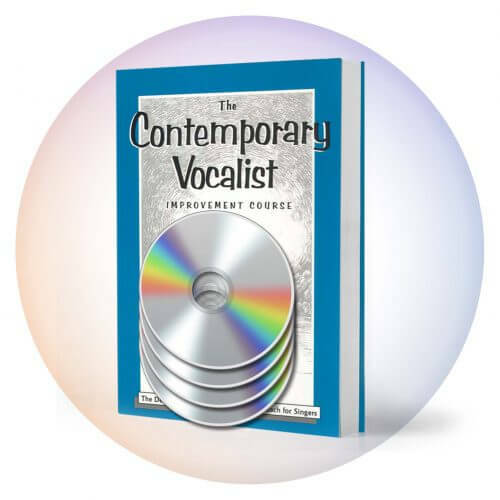 Since you are likely to and should start performing while you are still developing your voice and before you have every single aspect of singing under control, you have to learn to ride over mistakes without becoming introverted or calling attention to them. If you sing a bad note, so be it. Just notice that you did and carry on. Don’t point it out to anyone and don’t worry about why you did. After your performance, by all means address the mistakes in order to do better next time, but never while you are performing. There are two main directions of energy flow in a performance. When you sing, you are the originator of the communication and it flows outward to the audience who receive it. When the audience applauds, or sings lyrics of your song or claps their hands or hoots and hollers, etc. the flow reverses and comes back toward you. 1. You give to the audience and they receive = Outward from you = Inward to the audience. Some performers are uncomfortable receiving applause and other communications from the audience. After you become comfortable with others simply looking at you, you can increase your tolerance of being the center of attention until you can gracefully accept the audience’s acknowledgement of your performance. Once in my early performing career, I was afraid to go on stage to face the audience and my mother who was an actress whispered to me, “just remember dear, they are your friends” and suddenly it was a whole lot easier. Don’t forget that the audience does want to see you sing and perform well and they really are your friends.